This temple has its origins in the Japanese Occupation of Singapore. 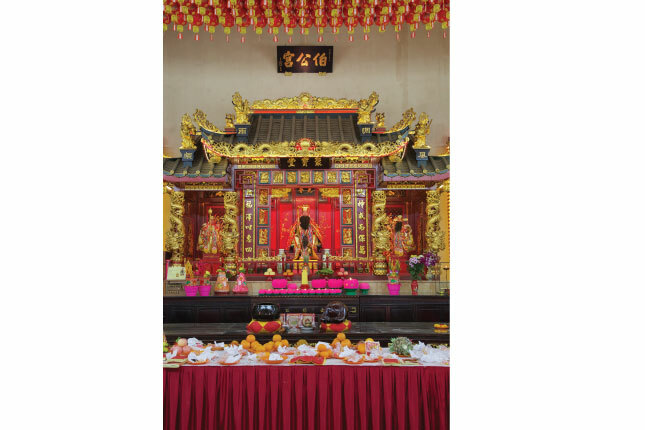 Following the death of 39 villagers under the hands of the invading Japanese forces in 1942, a group of eight villagers founded the Tua Pek Kong temple in an attap hut in Tuas, enshrining Tua Pek Kong, the God of Prosperity, to seek for spiritual solace. The temple was moved to a brick and tiled roof building in 1954. Following the industrial redevelopment of Tuas in the 1960s and 1970s, many villagers were resettled in Boon Lay, and the Tua Pek Kong temple subsequently shifted to 118 Boon Lay Drive in 1987 to cater to its worshippers.